In the early 90’s the war in Mozambique were drawing to a close and there was very little done in especially Northern Mozambique as far as Protestant missionary work is concerned. Pastor Frits van der Merwe and Dr Gerard Olivier were both pastors in Port Elizabeth at that stage and both felt a burden to send a missionary to Northern Mozambique. This was shared with their church boards and congregations and culminated into a visit by them to Northern Mozambique in May 1992. The main aim of the visit was to determine where they were going to send a missionary, sent out by their congregations in a joint venture. It was during that visit that pastor Van der Merwe clearly felt the Lord calling him and his family to Northern Mozambique. It was decided that they would work with a local church in Cuamba to start with. Pastor Van der Merwe, his wife Niekie and their two children, Ansie and Willem, were sent out in 1993. Through various circumstances God closed the doors in Cuamba after just two years and after much prayer all felt that we should look to go further North – into rural Niassa. 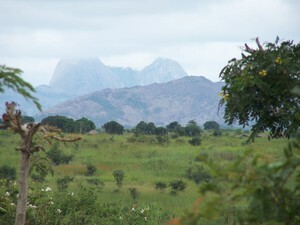 The area of Muapula was visited in 1995 and they spoke with the headmen of the area about establishing a mission there. They agreed to allocate some land and based on this they applied for land from the government. 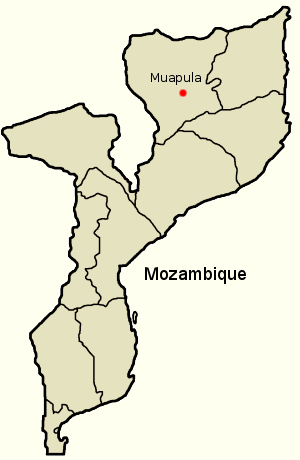 The Mission Station was established under the auspices of the Igreja Reformada em Mozambique – the Reformed Church in Mozambique, a small evangelical church in Mozambique which is a “daughter” church of the Dutch Reformed Church in South Africa (where pastor Van der Merwe and Dr Olivier were pastors). Since 1995 other missionaries have joined the work among the Makhua Xirima people in Mozambique. Ben Joubert followed soon afterwards to start a school on the Mission Station and Dewald and Valerie Knoetze already joined the Van der Merwes in Cuamba and they worked alongside the Mission Station on a separate piece of land, doing community development work. In 1998 Dr Oliver and his family joined the Mission and a German couple, Andreas and Almut also joined to help with the building projects. Later Grant and Riana joined the school as well. You can read more about each of these different ministries by clicking on the different tabs. A fantastic infrastructure had been created from virtually nothing and the Mission Station serves as a wonderful basis to launch into the surrounding areas. It is also used for retreats by other missionaries and organizations. Today only Pastor van der Merwe, his wife Niekie and Grant and his family are left there with Dr Olivier visiting on a regular basis. It is perhaps time for a new wave of missionaries to join??! Muapula is an area in the Northern part of the Niassa Province of Mozambique. It is situated in the Maúa District and Maúa (the town) is the nearest town to our Mission Station (approximately 80 kilometers by road or 30 kilometers as the crow flies). 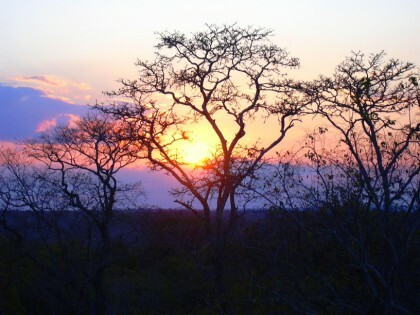 The nearest town worth mentioning is Cuamba, about 230 kilometers by road, or 3-4 hours drive from Muapula. See basic map below. From Port Elizabeth where most of the missionaries come from it is 3500km and 5 days by car!